Linda first came to Forever Fit Foundation as a client looking for training to compete in competitive bodybuilding. She received great training, education on nutrition and she experienced that everyone at Forever Fit was very professional and well educated. Linda was impressed by the facility, staff, and the owner Nancy Hawkins Rigg. Gyrokinesis instructor and wellness coach. Linda is the Director of Forever Fit Foundation’s Golf Foundation. Through the auspices of the Golf Foundation, we achieve client successes in their individualized programs of golf flexibility and golf fitness. Linda’s experience as a golf fitness instructor has allowed her to work with a variety of people in the golfing industry and golfers in the community. 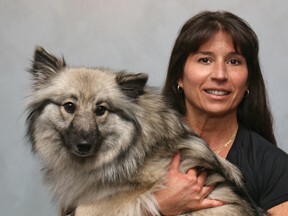 She enjoys helping clients with their individual programs and development. Every day she enjoys the variety and freedom that her job offers to her and shares with her clients. Linda’s philosophy is: work smarter not harder; move more; eat less; and live well. James Bowen grew up in Wilmington, DE and relocated to Dover, DE in 2011 to attend Wesley College after being recruited for football and receiving an academic scholarship. James graduated from Wesley College earning a bachelor’s degree in Exercise Science. James is an alumni of Alpha Phi Delta Fraternity. James was brought to the personal training world from his involvement in football, wrestling, and lacrosse. James’s extensive sports career and his knowledge with his degree provides an excellent foundation for a new and supportive approach to training his clients. James began his career at Forever Fit Foundation as an intern before moving into a full time staff position. As the newest member to the Forever Fit Foundation family, James is committed to furthering his education and learning different techniques to help achieve the overall goals of each client. James recently received his basic and advance certification in classical Mat Pilates from Power Pilates. James believes that improving the overall quality of life of the client can be achieved through a balance of various exercise training methods such as: Pilates, traditional weight training, a variety of myofascial release techniques, and specialized flexibility routines. His clientele ranges from high school/college athletes, to individuals recovering from injury as well as those working through chronic conditions. On his time off, James enjoys training his live-in client, his dog Maddie. Barry Foor changed careers midlife to pursue a lifelong passion for physical fitness. Returning to school in 2002, he earned two degrees from Delaware Technical & Community College in Exercise Science and as a Physical Therapy Assistant. He began his new career with Forever Fit Foundation as part of a clinical internship. He currently splits his time between working as a Personal Trainer and a Physical Therapy Assistant. Barry’s interest in physical conditioning began in high school, where he competed at the state level as a wrestler and played football. After college, he joined the military and survived the rigors of basic training and continued his fitness goals after the military through many of the same avenues we all do: gym memberships, various fitness trends and equipment, and different nutritional approaches. Ultimately, he decided to pursue a formal education in fitness. Barry has developed his fitness philosophy through these experiences. He believes each individual needs a tailored program that views health and fitness in a holistic manner—through training that incorporates cardiovascular conditioning, resistance training, core strength, flexibility, and nutrition—and that all these elements are critical to a vibrant life. To get there, however, he evaluates each client’s needs based on where they are in the present moment, including their personality, age, body composition and daily activities and interests, as well as any prior injuries, restrictions, or limitations, in order to develop a program that fits each person. Charissa has been in the fitness industry for 25 years. She is a trainer at Forever Fit Foundation at the Dover and Lewes DE sites year round. She works in Dover on Tuesdays and primarily works her clients to the bone because she doesn’t see them the rest of the week! Although she has a degree in business, her first love is fitness. She is certified as a Personal and Group Fitness trainer. She is proud to be a Pilates Practitioner. Charissa is married and has two adult children. Her husband was in the Coast Guard for 25 years. Together they traveled throughout the US and raised their children in many states. Fitness was an obvious “fit” for Charissa as she implemented and managed many health clubs and programs along her travels. Each destination has provided the opportunity for educational advancement. Charissa has a diverse fitness background. The versatility of this background provides a foundation that allows her to expand on the ever growing market of physical therapy and rehabilitation. She is certified in spinning, senior fitness, yoga, kickboxing, and traditional cardio/step. Pilates is Charissa’s forte. Her clients enjoy a challenging routine whether it’s large or small Pilates apparatus. The Cadillac and Reformer routines will knock your socks off. She will also satiate you with Hawk Grips, Mashing, Resisted Stretch and Trigger Point Therapy. Come check her out! Contact Charissa Hines at Forever Fit Foundation at 302 344 8355. Tim Hunter is a NSCA certified personal trainer at Forever Fit Foundation. He has been with Forever Fit Foundation since 2008 and has been a personal trainer since 1995. He is also a former bodybuilder and competed in Delaware, Maryland, and Pennsylvania from 1993-2004. More recently, he enjoys power lifting and holds State and National records in the 242 lb weight class with lifts over 700 lbs in deadlift and over 600 lbs in the squat competitions. Tim also has a passion for cooking. He has been working as a Chef or Chef Instructor for over 20 years. He is currently the Executive Chef at the Food Bank of Delaware. His philosophy about Fitness is “Everyone has to start somewhere because fitness is a journey, not a destination.” He knows what it’s like to push your body to the limit and enjoys helping people reach their individual goals. Forever Fit Foundation is a personal training company committed to serving and providing the most current and comprehensive training methods. Through their knowledge and attention to the needs of their clients, they are able to produce very positive results both short and long term. Their team has a variety of trainers to suit anyone. As a group, they attend continuing education conferences and classes. Whether at a workshop or working out with clients, their cohesiveness as a team is apparent. Their specialties range from Gyrotonic/Gyrokinesis training to Golf Specialty, Muscle Activation Technique (MAT), Resisted Stretch (RS), related myofascial release techniques including the “Hawk Grips”, Active Release Therapy (ART), traditional weight training, Pilates large and small apparatus, as well as various functional mobility exercises. Forever Fit locations include Dover, DE, Lewes, DE, and Mendenhall Station, PA. The Lewes and Mendenhall sites are geared primarily for Pilates, Gyrotonics and functional fitness programs, with Lewes offering Pilates Mat classes Thursdays at 5:30 pm and Saturdays at 10 am. Call (302) 698 5201 for a free half hour consultation with one of their certified personal trainers. Be sure to visit their website and Facebook page www.foreverfitfoundation.org.